Kiss lock purse. 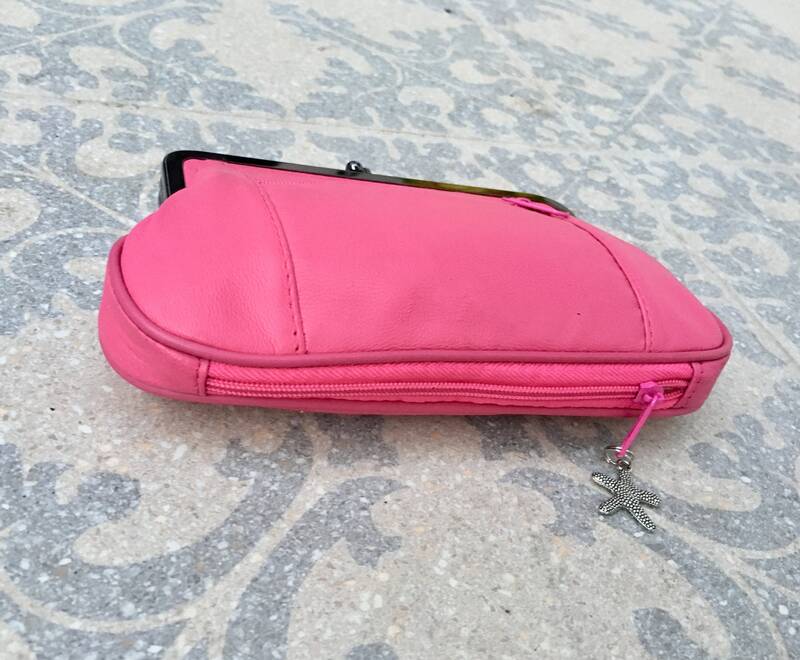 Genuine leather clip purse in SHOCKING PINK. 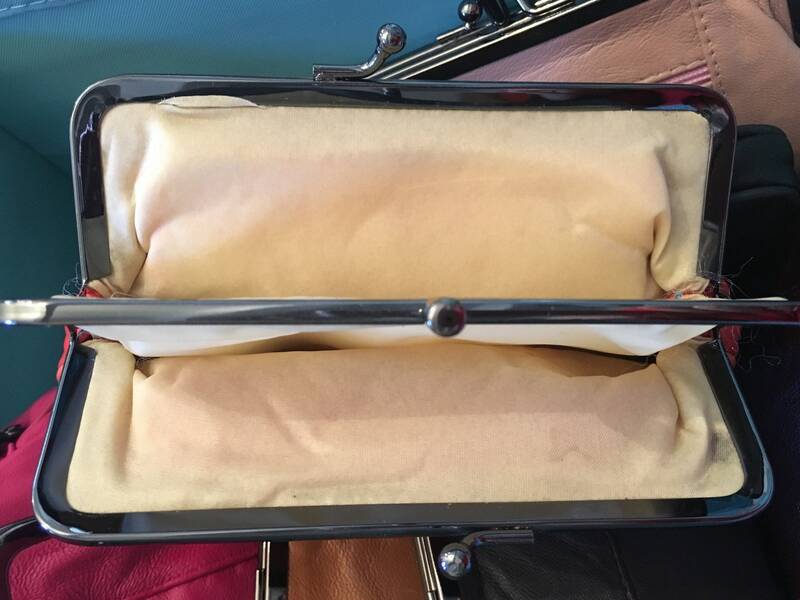 Vintage style purse in soft leather. 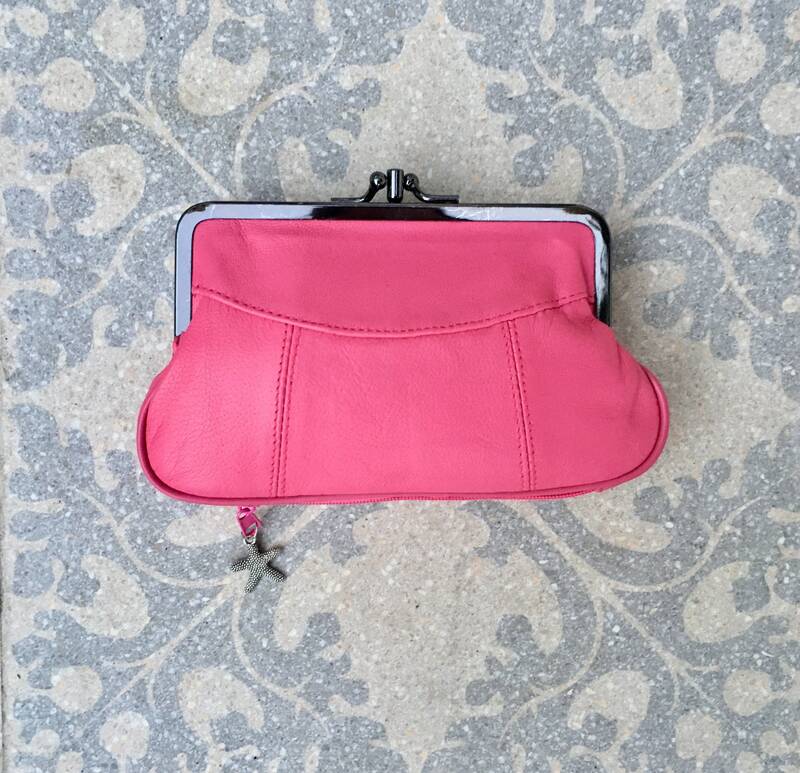 Soft leather wallet in wine PINK. 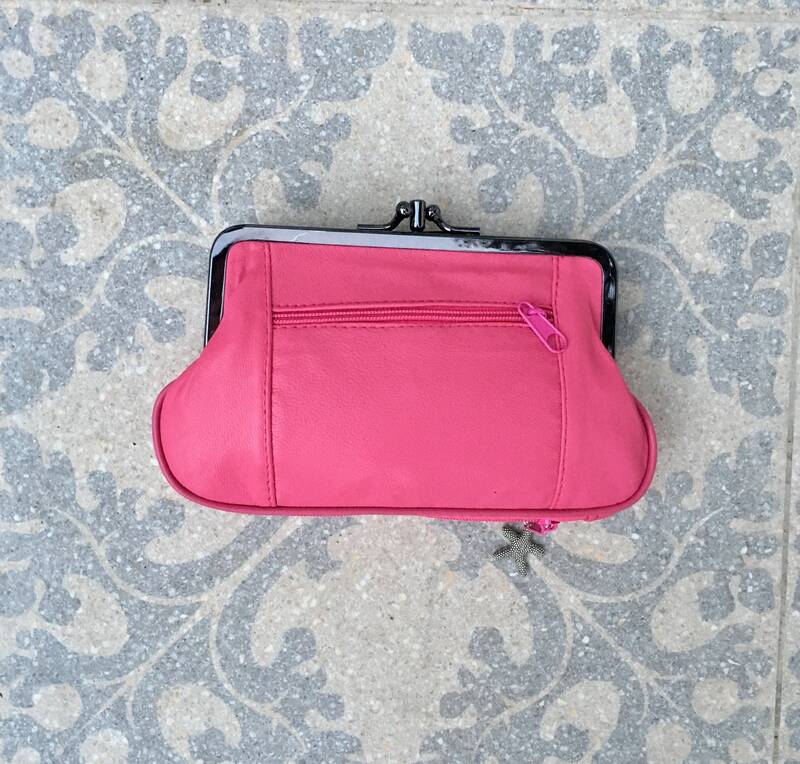 Coin purse in beige with clip clasp that opens 2 separate compartments inside. 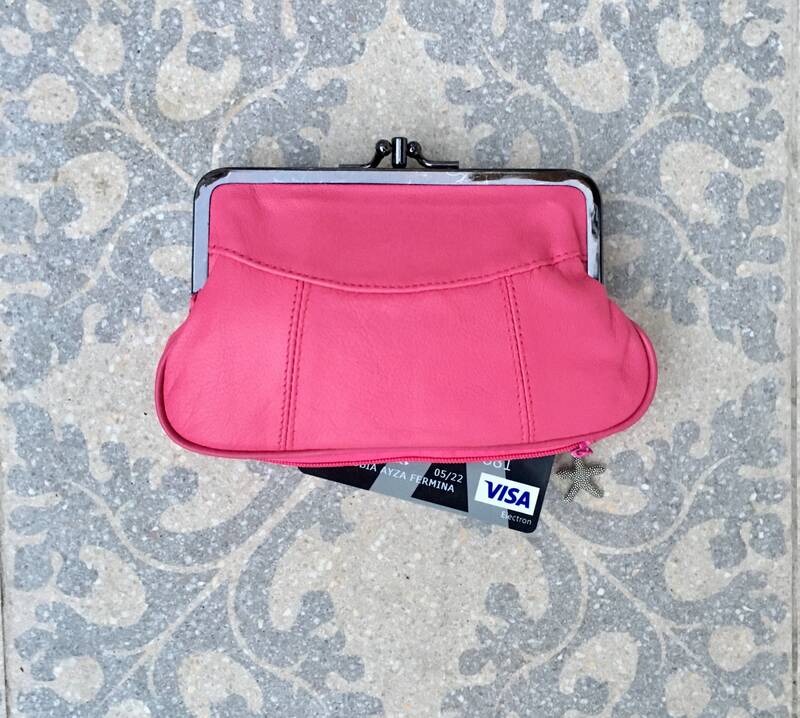 The original zipper at the base helps you keep your cards separate from your coins and bills. Compact design. Lined in a strong nylon fabric. Metal clip clasp. This item is ready to ship. It will be sent as a REGULAR LETTER (NOT REGISTERED). It is a small item that fits on a regular letter enveloppe. Estimated delivery time to Spain is 3 days, 1 week within Europe and 2 weeks to the rest of the world.